AS FAR as the attribute of character goes, the Tshwane Suns have shown that they have it in bucket loads. 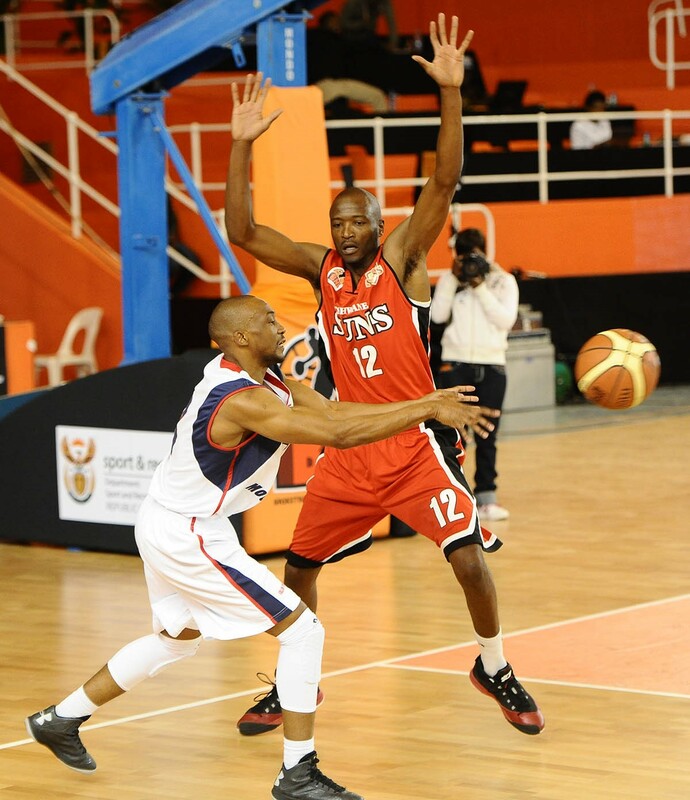 It was last year in the Basketball National League (BNL) semi-final play-offs that the Tshwane franchise displayed character in overcoming the more fancied Soweto Panthers in a great third quarter fightback after being 20 points down. The rest, as they say, is history as the Suns cantered to the inaugural BNL title. Tomorrow, the Suns will again be facing the same adversary at the Wembley Arena in Joburg, but the script has taken a different twist. While the main plot remains the same, it is now the Panthers who head into the game as underdogs after having faced their own adversity in the second season of the league. But, nonetheless, the Suns will not take this young Panthers side, who are now coached by Michel Katalay, lightly, as they will have noted with admiration how they dug themselves out of a poor start to the season, overcame the dismissal of their erstwhile coach Terry Nxumalo, and then in the last game of the season snatched third spot from the Egoli Magic team to book themselves a repeat of this semi-final encounter against the Suns. Returning Suns captain Neo Mothiba, who missed a good part of the season with a stress fracture on the right foot, played down their favourites tag and said the Panthers, who go into this clash with an 8-3 record, will make a game of it. “It’s relative (being favourites) – it will differ from one guy to the next. They (Panthers) are a new-found team and they will be hard to beat. We are a team that takes every game seriously and that they are here shows they are a good team,” said Mothiba, who acknowledged that the Panthers will probably bank on their youth to try to overcome the Suns. The Suns, who have been the best defensive team in the league, will rely on that aspect of their game to subdue the Panthers. Mothiba highlighted how his team have also restricted the teams participating in the semi-final play-offs to within 50 points during their regular season games. Mothiba, who finally got a run for the Suns, when he scored 12 points, got two steals and four rebounds in the victory over the Cape Town Mountaineers two weeks ago, feels that while he is not at full fitness he can play a pivotal role in contributing to a Suns win tomorrow. He further credited his teammates on their stellar performance where they recorded a 10-1 record during the regular season. “We are not a one-man show. There are guys in the team that performed well while I was out. Dumisani Moyo has been scoring for the team and has been contributing to victories,” said Mothiba. “I think on match day I will do what needs to be done offensively and defensively to help the team win,” said Mothiba who has served as the national team captain. Hopefully for the Suns, Mothiba’s efforts on the court will be enough for the Tshwane franchise to book themselves a spot in Saturday’s final between either the Duzi Royals or Egoli Magic, who will contest the tomorrow evening’s first semi-final. Wow I must say well done to the guys what a game!! Neo Mothiba Exellent player!! I like your game bro!! AWESPMENESS!! !